Each person’s desires and wishes are different. An estate plan should be individually tailored to meet the specific needs of each client. However, there are particular documents that should be incorporated into every estate plan. It is imperative that the individual who drafts these documents takes the time to speak with you regarding your wishes and carefully drafts the documents to conform to those wishes within California’s legal requirements. Revocable trusts, wills, powers of attorney, and advanced health care directives are all vitally important to a complete estate plan. A trust is necessary to avoid probate and can ensure that specific possessions and properties that are placed in the trust will be distributed to the chosen beneficiaries. It is often believed that only a will is needed to avoid probate. However this is not true. Even if you have a will, your estate may still be probated. This is one of the main reasons having a revocable trust is so important. 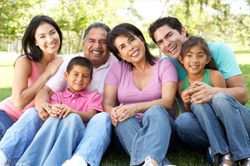 A will allows an individual to choose a guardian for his or her minor children. It also acts as a “catch-all” document to ensure that any assets or properties that the individual forgot to place in the trust are poured over into the trust. Powers of attorney allow you to choose successor agents to help make financial decisions on your behalf should you become incapacitated. An advanced health care directive allows you to state your medical wishes should you become incapacitated as well as assign successor agents to help carry out those wishes. These four documents, among others, are critical to ensure your estate is in order when you pass away. We work diligently with our clients to customize an estate plan that meets our clients’ specific needs and is valid under California law. Please contact the Law Offices of Cheri E. Michaelis today if you need an experienced attorney to help you create your estate plan or update and amend a trust or will.